The route in XenForo is the term used for XenForo to understand which controller to load and determines the page renderer. It is independent of the SEO friendliness of the URLs. Each URL can accept further parameters to identify multiple pages of a thread or forum and can accept query parameters like standard URLs. So the route is the first part of the URL and is independent of SEO friendliness of the URL or the secondary portion of the URL. XenForo has the default route for each functionality but one can always customize the route using the route filters. Each node (aka forum/sub-forum or page) can be customized with url portion to avoid the id in the url. 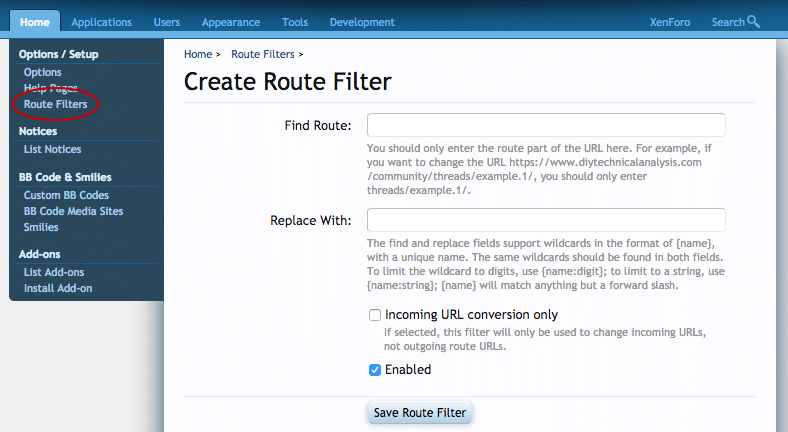 With route filters, one can completely avoid the forums part in the URL or create a parent-child based url structure for forums. The same can be implemented for pages as well.